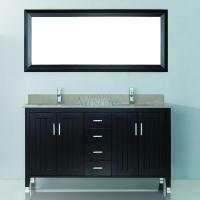 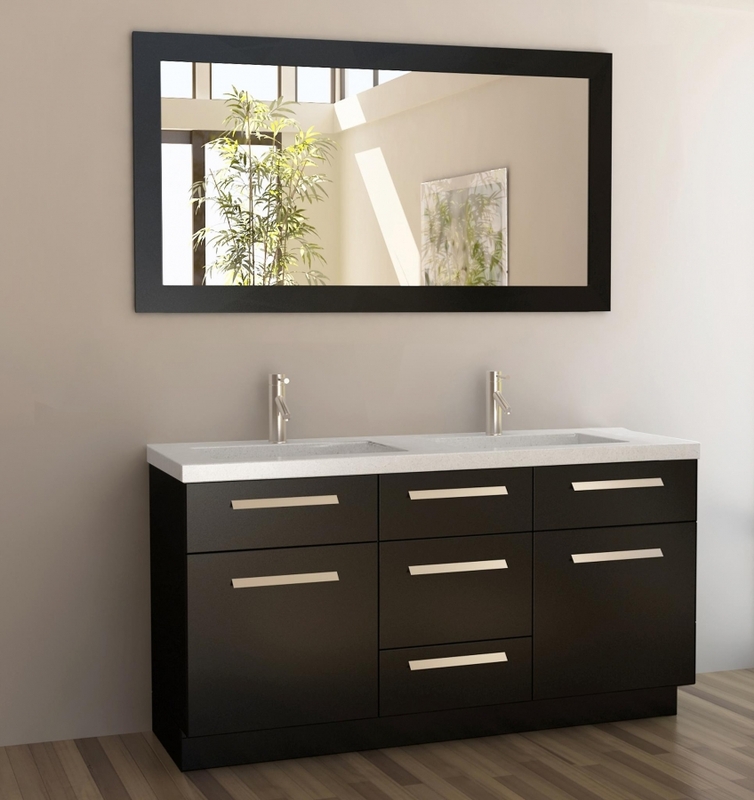 This double sink vanity brings great style and functionality to the bathroom. With three cabinets and one drawer there is ample room for storage and organization. 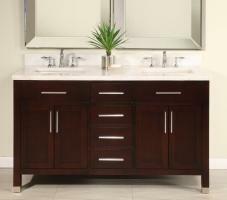 The dark espresso finish is enhanced by the white quartz counter top and the satin nickel finish of the hardware pulls. 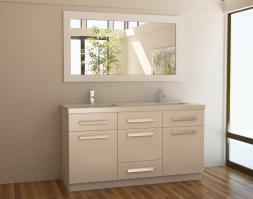 A large matching mirror completes the look of the set.